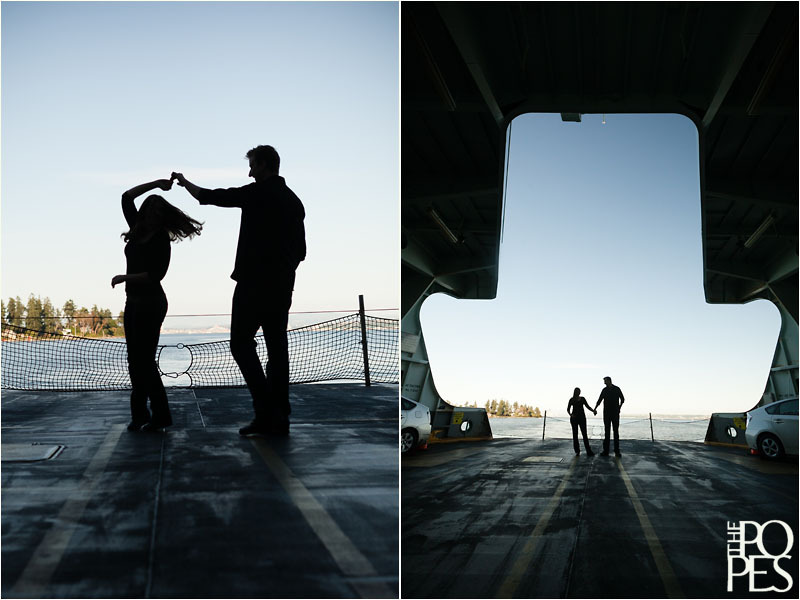 A few months ago, Heather and Michael flew up from New Mexico to Seattle for their engagement session. 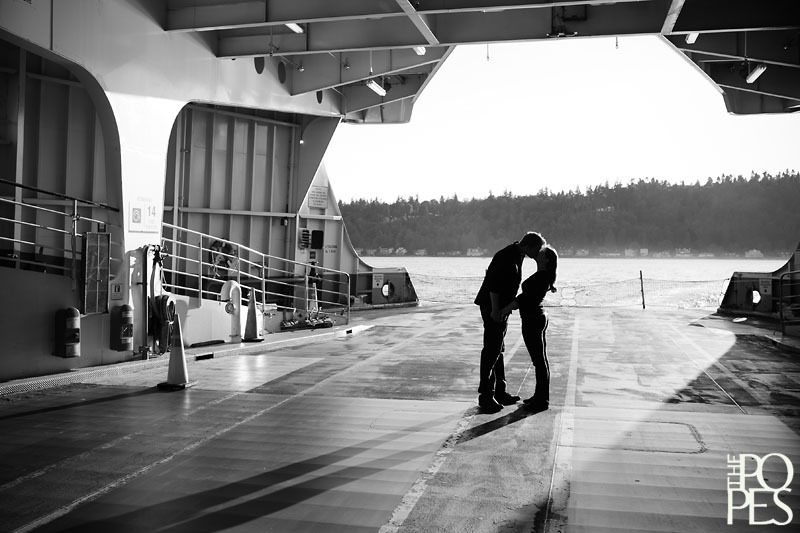 Since they got engaged on the Washington State Ferry, Tacoma, it made sense to photograph the majority of their session on the boat. 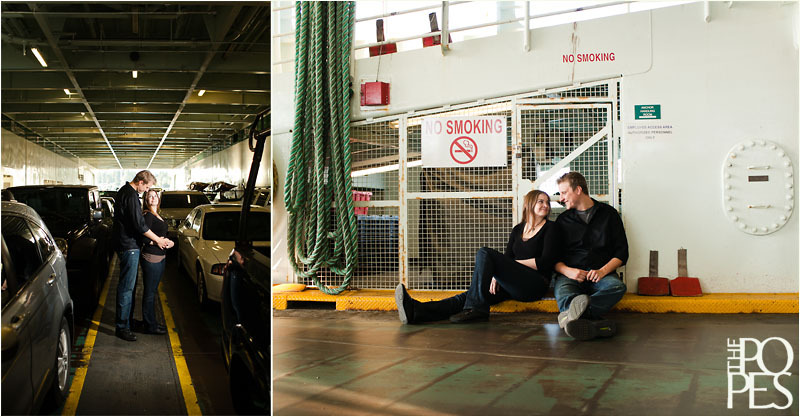 We rode the ferry over to Bainbridge and then lucked out when the ferry officials let us shoot on the empty ferry for about 5 minutes before new passengers loaded. 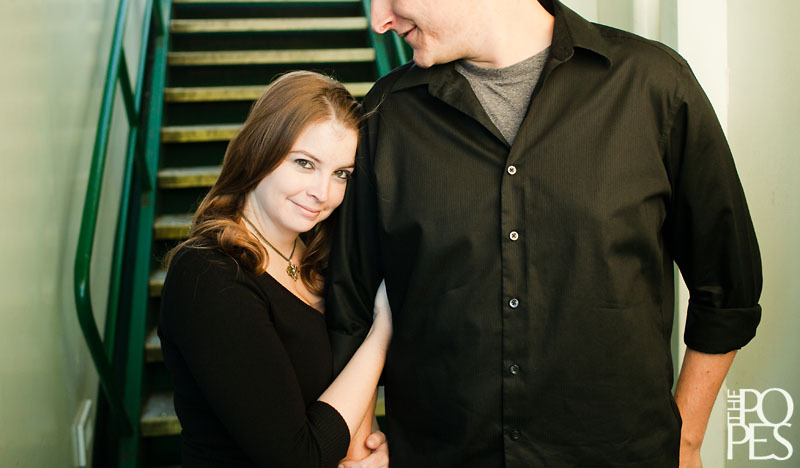 It was quite the creative rush, and we couldn’t be more thrilled with the photos we were able to create with this fun couple! 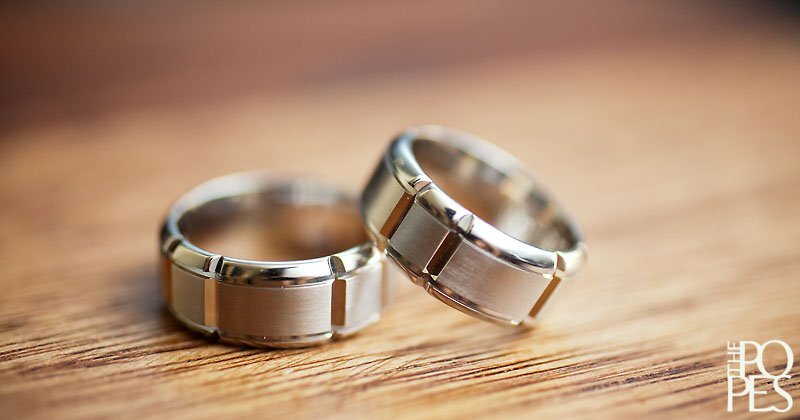 What an original set! 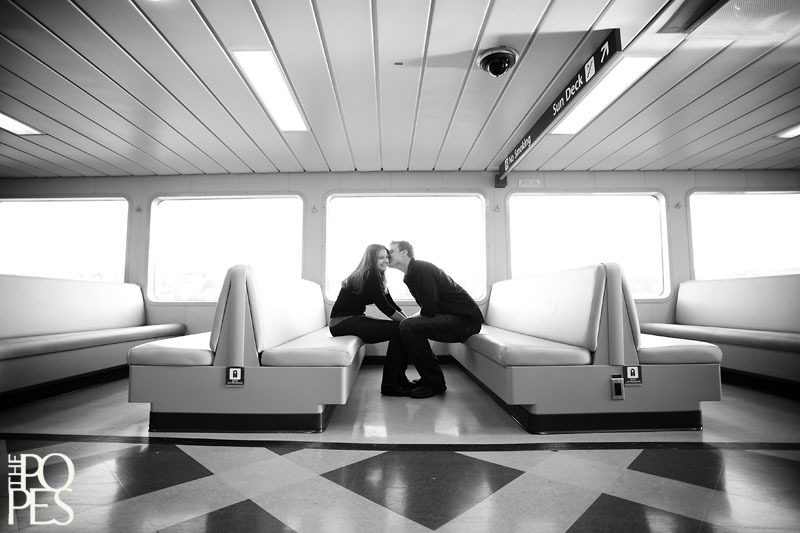 Love that the ferry folk were willing to accomodate love....and her coat is fab!